The number one challenge of any entrepreneur is getting customers. Your customers are the center of your business’ universe. And without them, your business won’t survive. But all customers aren’t created equal. Some are demanding. Some may not be a perfect fit for your products and services. And others may require you to jump through hoops for you to win their business. 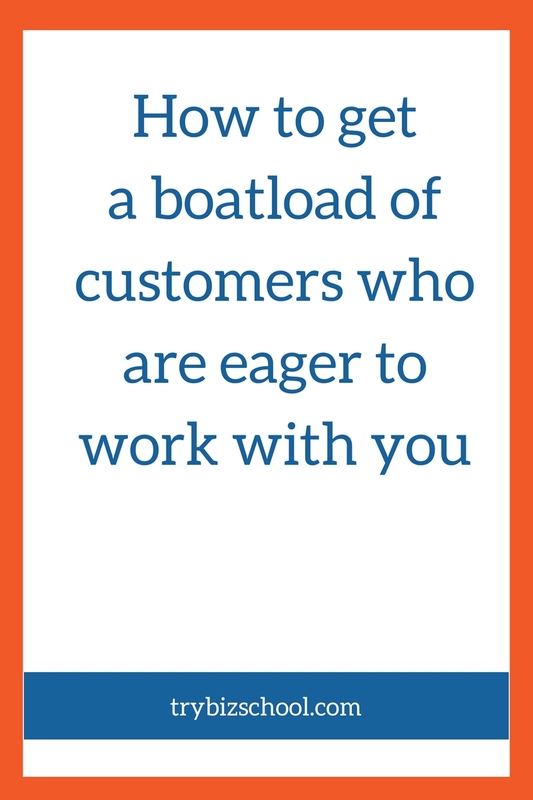 Over time, working with these types of customers will weigh on you and your ability to consistently do great work. No bueno. It’s not a good feeling when you have to chase after clients, hoping they’ll choose to buy from you. And it’s an especially troubling feeling when the funds in your account are low. One of your core tasks as a business owner is to differentiate your business in such a way that it makes it clear why your ideal client should work with you. And a fantastic way to do that is to get known for your ideas. To establish yourself as a thought leader. The cool thing is that these days you don’t have to wait for someone to give you the opportunities or to crown you an expert in your field. You can put the work in now, to demonstrate that you are indeed an expert. And that your ideas are valuable. And worth paying attention to. And over time, your efforts will make it clear for your ideal customers why they should work with you, instead of everyone else. Dorie Clark is the expert on this strategy. In her latest book Stand Out, Dorie made a clear case for why thought leadership is a smart strategy for entrepreneurs. And in this session, we go in-depth on the why and the how of establishing yourself as an expert in your field. So if you’ve ever struggled with how to get customers, or how to get the right customers, definitely take the time to dig into this interview. 1. Master Minds or my dream team. b. substitute teach work on presentation with kids, teenagers, adults. The Big Fish in a small pond. 1. Develop my tai chi nitch. proper alignment, application. Video clips of myself in Tai Chi exhibition. 3. Providing new research, original research 60 blogs post on a particular topic. taking merticulas notes about a that topic. Develop a personal diary to gather classify and log Post . 4. Seeing ideas in a new way. 6. Becoming a household name to your target audience. Hey Greg – you’ve definitely got a lot of great ideas here. My recommendation would be to choose 1 or 2 max as a core strategy to move forward with. That way you can focus all your energy to really make it work for you. You’ll also start to see results a lot faster as well. How does that sound?